I recently entered Brother Australia’s Pink Christmas competition. To enter, you were required to make one or more of the pink Christmas patterns created especially for Brother by some of Australia’s top craft bloggers. I made the bird decoration by Christine Mitchell. This was a huge learning curve for me as I had not sewn something so small and curvy on the sewing machine before. As part of your entry you needed to add your own touch with something pink. 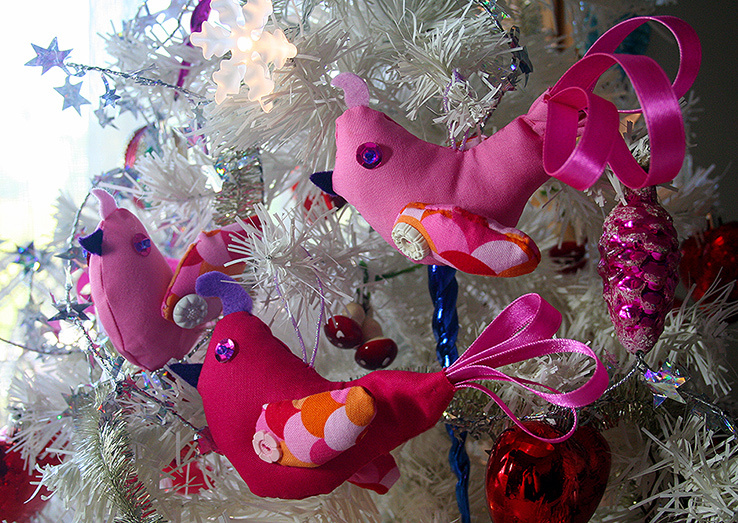 I added a pink-ribbon tail and pink sequin eyes as well as a little head feather to make the birds partridges. I made most of the birds with a pale pink fabric and one with hot pink – I guess he’s the male as he has the showy colours, as you can see below! I used some vintage buttons on the wings and the birds now decorate our Christmas tree! 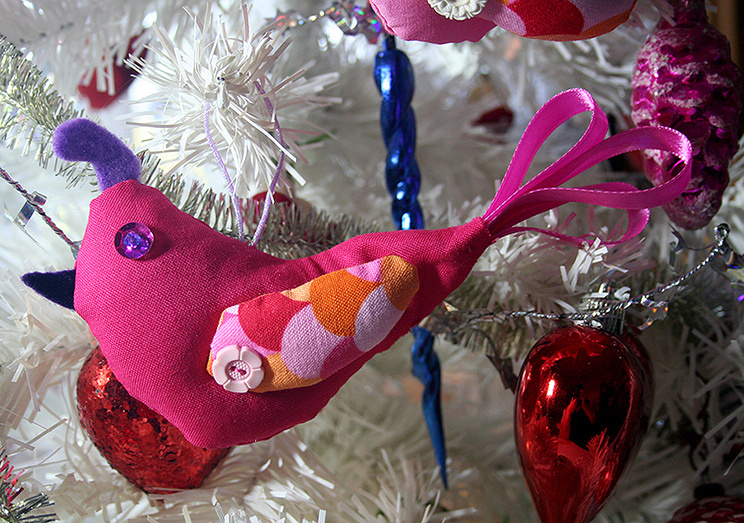 If you’d like to have a go at making the Christmas bird decorations or one of the other pink-themed projects, visit Brother’s project page to find lots of free patterns.